I want to bring to your attention some literature that I received in the mail recently. It's from School Products Co., Inc. in New York, NY and gives instructions for school children to try dyeing in the microwave. There have also been a number of weaving journals that talk about this method of dyeing. We do not support microwave dyeing in any way. First, it violates the safety rule of using the same equipment for both food preparation and an artistic process. Second, microwave ovens were not necessarily designed to handle the complex range of dyes and chemicals used by dyers. Microwaves are designed to heat and cook food. Third, I doubt that many people have just one microwave that they use solely for dyeing. I'd like to know what you think about all of this and if there might be some mention of this in the newsletter. We really appreciate your newsletter and publications. We recommend you all the time to our customers. Thanks very much. Cerulean Blue Ltd., Seattle, WA. 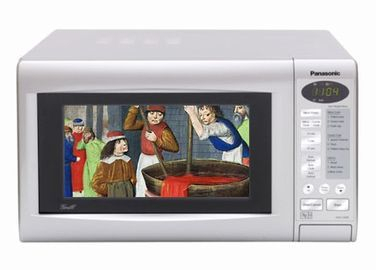 I agree that equipment for art processes should never be used in food preparation, since the chances of an accident contaminating the microwave oven are too great. This is mostly a problem for people working at home where they probably don't have a separate microwave oven for dyeing. In a school, this would not be as much of a problem since food preparation should not be going on in the classroom. Another crucial factor is the age group to which the Micro Dyes are marketed. According to the distributor, these are Dylon cold water or fiber-reactive dyes. Inhalation of the dye powder is known to cause asthma and other allergic reactions. Under the new Art Materials Labeling Act, these dyes cannot be purchased for use by elementary school age children. In discussions with the President of School Products and the importers, they agreed that these dyes should not be used by elementary school children or in microwave ovens that are used for food preparation. The question of microwave ovens being designed to handle dyes is a another issue. It appears that some brown dyes give different colors in the microwave. And rayon or viscose fibers can decompose to release hazardous gases in microwave ovens. While some concern about microwave ovens is warranted, I do not think that it means eliminating their use. - Ed.